We provide matt disk and felt disk is sutable for matt finishing and mirror finishing works carried out at site with angel grinder machine. Understanding the demands of customers we are engaged in offering PU Grinding Disk. In order to ensure safe dispatch at the customers' premises, we pack these products in high-grade packing material. 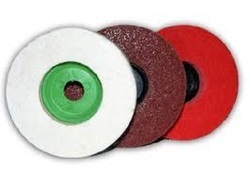 We are engaged in offering a huge array of Felt Disk to our customers. We offer these at market leading rates. 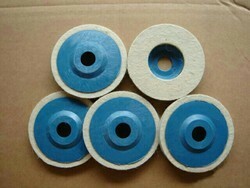 Combine the advantages of depressed center Resibon Grinding Disc and resin fiber discs (sanding discs). Because of its flexibility, it put a more grinding surface on the job and will grind faster and last longer. Matching to the increasing needs of the customers, we are involved in offering good quality of Sintering Grinding Disk. This Sintering Grinding Disk is manufactured by our talented team of professions using high grade raw material sourced from our certified vendors of the market.